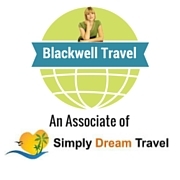 Want more information about family travel, group travel, honeymoon vacations, wellness travel or cruise vacations? Contact Amandah Blackwell today. Tomorrow enjoy a vacation to an exotic destination or an old time favorite!